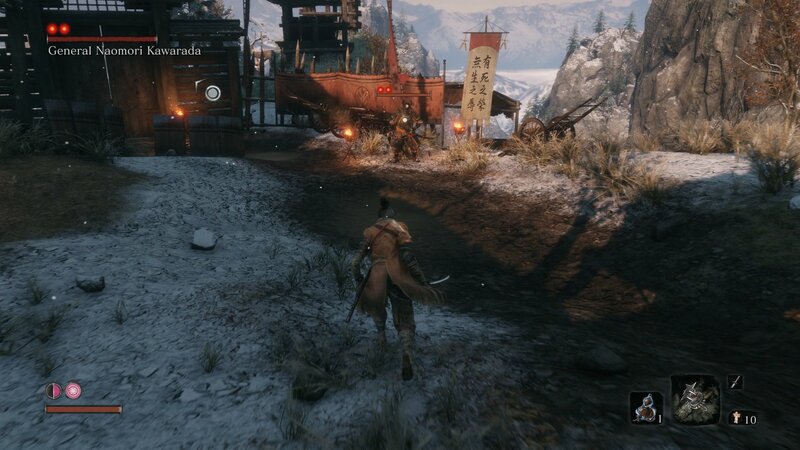 Learn all about the General Naomori Kawarada boss fight, his attack patterns, and strategies for defeating him in Sekiro: Shadows Die Twice. 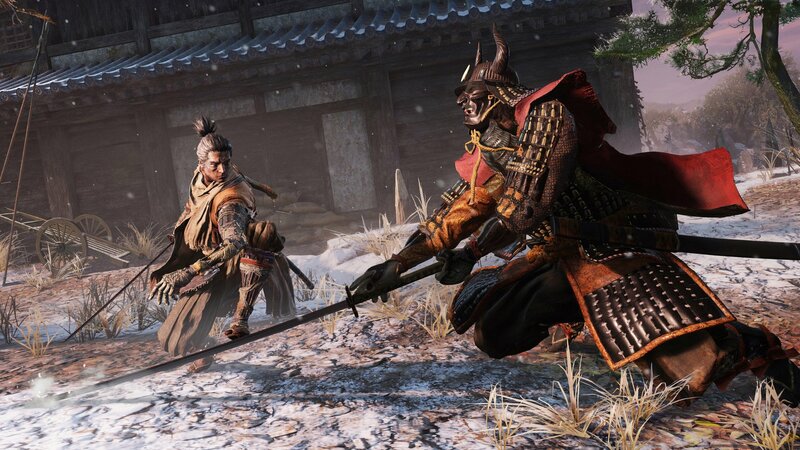 General Naomori Kawarada is the fight boss fight players will encounter in Sekiro: Shadows Die Twice. This mid-level boss acts as the first major hurdle for players, as the General tests the various skills learned so far. If you haven’t quite mastered deflecting and attacking, this is a great opportunity to hone those skills. General Naomori Kawarada is a reasonably challenging boss fight. He utilizes heavy attacks as well as a grab move. However, he’s quite slow and easy to counter. The arena the General occupies is entirely empty of other enemies, so you can fight him without worrying about clearing out any soldiers. It may be possible to sneak around behind the General and get a Deathblow to begin the fight. When you enter the arena, he will be standing near the back, beside the fence. Lock on to the General and prepare to counter his flurry of attacks. 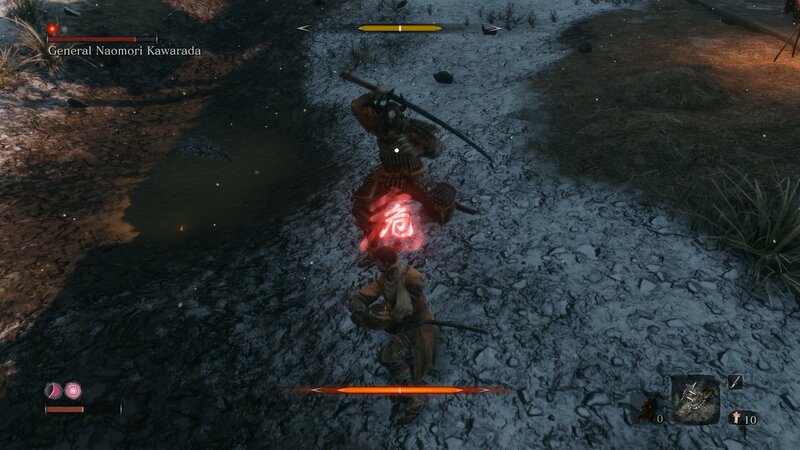 Given he uses quite a long blade, it is easy to see and track during combat. There are two main moves you will want to look out for: a jumping attack and a sweeping attack. This sweeping attack cannot be deflected but it can be jumped. When the red symbol appears, prepare to jump. If you time it correctly, you can press jump again to perform a mid-air kick, dealing significant posture damage to the General. The General also seems to attack in a rhythm of four blows. Count them out as you deflect and then poise for a counter-attack once the flurry stops. Look out for the General's large moves that trigger the "Danger" icon. At this point in the game, you will only have one Healing Gourd available, so use it wisely. You may also have already unlocked the Shinobi Esoteric Text, which grants access to various Shinobi Style skills. The first Combat Art, Whirlwind Slash, is an excellent option for those looking for some extra damage per attack opportunity. Overall, the General Naomori Kawarada boss fight is a nice entry point for players. It sets the groundwork for some of the important moves you will need to implement in order to defeat later foes. For more on Sekiro: Shadows Die Twice, keep it locked to Shacknews.